WASHINGTON — To hear the Americans tell it, the Chinese have gone on a commercial crime spree, pilfering trade secrets from seed corn to electronic brains behind wind turbines. China has stripped the arm off a T-Mobile robot, the U.S. says, and looted trade secrets about robotic cars from Apple. The alleged victims of that crime spree are individual American companies, whose cases lie behind the Trump administration's core complaint in the high-level U.S.-China trade talks going on in Washington: That Beijing systematically steals American and other foreign intellectual property in a bid to become the world's technology superstar. Yet the odds of a resolution to the trade dispute this week — or anytime soon — appear dim, in part because China's drive for technology supremacy is increasingly part of its self-identity. The six-month standoff has shaken financial markets and likely weakened the global economy. The United States has imposed taxes on $250 billion in Chinese imports; Beijing has lashed back by taxing $110 billion in American products. 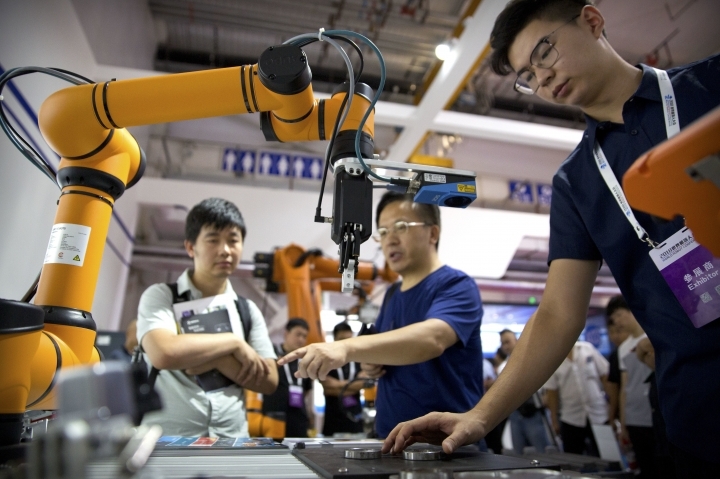 Determined to attain dominance in cutting-edge fields from robotics to electric cars, U.S. officials charge, Beijing is not only stealing trade secrets but also pressuring American companies to hand over technology to gain access to the vast Chinese market. U.S. intelligence officials told Congress this week that China poses the biggest commercial and military threat to the United States. A separate report this week said Beijing will steal or copy technologies it can't make itself. Geng Shuang, a spokesman for the China's Foreign Ministry spokesman, retorted that it's "totally unreasonable to make random accusations." Beijing counters that the United States is just trying to suppress a rising competitor. U.S. business groups broadly support the Trump administration's decision to confront China over its strong-arm tech policies. But they mostly object to the administration's weapon of choice: Steep tariffs, which are taxes on importers and are usually passed on to consumers to pay. Rooting out theft could prove impossible. Beijing typically doesn't dispatch spies on missions of commercial espionage. Rather, it encourages Chinese who study and work abroad to copy or steal technology and rewards them when they do. So U.S. companies might have no reason to suspect anything — until a Chinese employee leaves and the employer discovers that trade secrets have been compromised. Most U.S. companies are reluctant to voice specific complaints about their encounters in China. Rather, most choose to speak through trade groups to avoid retribution from Chinese regulators. Last year, for example, the European Union Chamber of Commerce in China found that one in five foreign companies says it feels compelled to transfer technology to the Chinese as the price of market access. — Federal prosecutors charged in an indictment unsealed this week that the Chinese tech giant Huawei stole trade secrets from U.S. cellphone company T-Mobile and offered bonuses to employees who managed to swipe technology from other companies. U.S. authorities said Huawei was obsessed with a T-Mobile robot nicknamed Tappy that could detect problems in cellphones by mimicking how people use them. T-Mobile was letting Huawei engineers into the Tappy lab to test their phones. 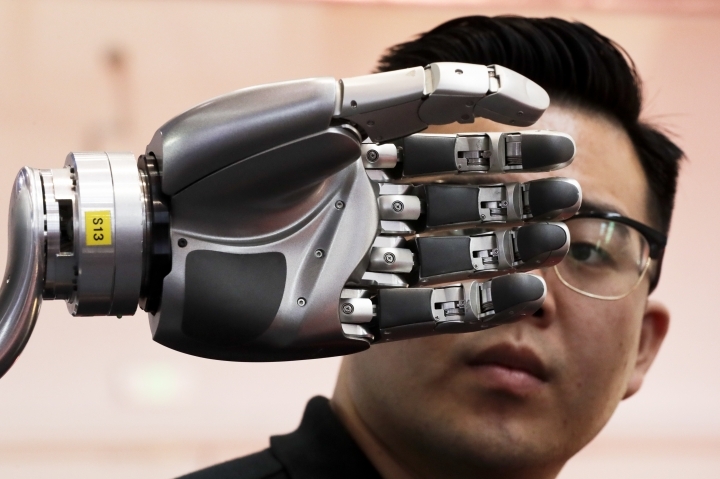 In 2013, according to the indictment, a Huawei engineer spirited a Tappy robot arm out of the lab in a laptop bag. Questioned by T-Mobile, he returned it the next day. Prosecutors allege that the Chinese company hungered for T-Mobile technology to use on its own phone-testing robot. — Apple would collect less revenue without China, the country where its iPhone is assembled and the market that accounts for the most sales of that device outside the U.S. But a secretive project that could become a future gold mine has been infiltrated by thieves trying to steal driverless car technology for a Chinese company, according to criminal charges filed in Silicon Valley. The FBI seized the latest suspect, Apple engineer Jizhong Chen, this month after he bought a plane ticket to China. Chen and the other suspect charged in July, Xiaolang Zhang, were part of an Apple project focused on self-driving cars, according to the sworn affidavits from FBI agents. The two are accused of using their access to labs where only 1,200 of Apple's 140,000 employees were allowed to enter to steal trade secrets. Chen took dozens of photos of confidential work on an iPhone 6 Plus, according to court records. One photo was taken last June just a week after Chen attended Apple's secrecy training seminar for employees, the court records show. Zhang stored Apple's trade secrets on various devices before being caught by the company's security team last spring, the FBI alleged. The alleged theft occurred while Zhang was preparing to defect to Xiopeng Motors, or XMotors, a Chinese startup specializing in electric cars and self-driving technology. XMotors' backers include Alibaba Group, China's largest e-commerce company, and Foxconn, one of Apple's major contractors in China. Zhang was arrested last year as he prepared to board a flight to China in San Jose, California, the FBI said. The FBI also alleged that Chen was stealing Apple's trade secrets while interviewing for a job at a Chinese company that wasn't named in the court documents. Daniel Olmos, an attorney for both Chen and Zhang, declined to comment on the allegations. Apple said it's working with U.S. authorities on the cases, both of which remain open. — In November, the Justice Department charged a government-owned Chinese company, Fujian Jinhua Integrated Circuit Co., and co-conspirators with stealing trade secrets from the U.S. semiconductor company Micron Technology. According to the indictment, the Chinese hoped to break into the market for a technology called dynamic random access memory, or DRAM, that's used in computer electronics. "China, like any advanced nation, must decide whether it wants to be a trusted partner on the world stage or whether it wants to be known around the world as a dishonest regime running a corrupt economy founded on fraud, theft and strong-arm tactics," then-Attorney General Jeff Sessions said at the time. The U.S. has barred Fujian Junhua from importing U.S. components, an action that threatens to put the Chinese company out of business. — A year ago, a Chinese company, Sinovel Wind Group, was convicted in a federal court in Wisconsin of stealing technology — the electronic brains that run wind turbines — from its American partner, AMSC, formerly known at American Superconductor Inc.
"We believe that over 8,000 wind turbines — an estimated 20 percent of China's fleet — are now running on AMSC's stolen software," CEO Daniel McGahn told U.S. government investigators. "AMSC has not been compensated for its losses." The damage from that betrayal was severe: American Superconductor stock lost $1 billion in value, and the company slashed 700 jobs, more than half its global workforce. It was, McGahn said, a case of "attempted corporate homicide." — A Chinese businessman, Mo Hailong, who had been caught rummaging through an Iowa cornfield was sentenced to three years in prison in 2016 for pilfering trade secrets from U.S. seed corn companies. Five years earlier, DuPont Pioneer security guards had caught Mo and other Chinese men digging in a cornfield that contained test plots of new seed corn varieties. The other suspects fled the United States before they could be arrested. Prosecutors said Mo had traveled to the Midwest while working for Kings Nower Seed, a subsidiary of the Chinese conglomerate Beijing Dabeinong Technology Group Co., to acquire corn seed and ship it to China so scientists could try to reproduce its genetic traits. Liedtke reported from San Francisco. AP Business Writer Joe McDonald in Beijing contributed to this report.